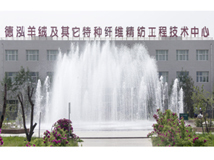 DEHONG is the only manufacturer which can realize large-scale production of cashmere worsted fabric in China currently. The worsted cashmere and wool blended woven yarn is one of the new technique products which we developed. Now these technology have been very mature and we have exported the yarns many million kilograms each year for all over the world. It keeps fine length and diameter, soft-and-smooth hand feeling, high purity, less scurf and is therefore with better quality. Materials like Merino wool, dehaired angora, camel, yak cashmere, linen are all imported from Australia, South Africa, France, Belgium etc. You can send us photos or samples, our professional team will do our best to meet your requirements. Prompt reply within 24 hours of your inquiry. Guarantee on time delivery of your orders. Each product is produced under the strict inspection standard to ensure you'll get exactly what you want. We have been endeavoring to provide you first class service and product all the time. If you have any problem with our product or service, please do not hesitate to contact us we will solve it to your satisfaction. Dehong International Cashmere Co., LTD was founded on August 31 in 2005. The company has a registered capital of 49 million dollars, with facilities which cover an area of 17,8675.45 square meters. The company's main business is cashmere raw material, product research and development, design, production and marketing. 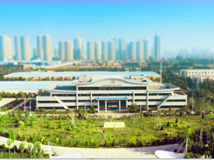 DEHONG has integrated special fiber and cashmere raw material cultivation, acquisition, product research and development, design, production, marketing, and the industrial chain covering cashmere washing, combing, spinning, weaving, dyeing and finishing, etc. DEHONG's core production is worsted cashmere products which include dehaired cashmere, combing cashmere tops, worsted and woolen cashmere yarns, worsted and woolen cashmere fabrics, cashmere scarves, cashmere shawls, cashmere blankets and other cashmere products; DEHONG also has high-end apparel customization and has played in important role in the cashmere textile industry`s development with the most complete production chain. Company Name: Dehong International Cashmere CO., LTD.